PBS, The Curbstones, Levis, Inside/Out, THE AMAZING COSMIC AWARENESS OF DUFFY MOON and more. 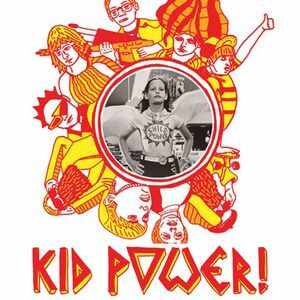 Originally made as a perk for Indiegogo contributors, this mixtape of kids music, soundtrack themes and dialogue excerpts was made to accompany the launch of Spectacular Optical&apos;s inaugural anthology book KID POWER! in July 2012. Now, in honour of our Dec 13th screening of A COSMIC CHRISTMAS with director Clive Smith (THE DEVIL AND DANIEL MOUSE/ROCK AND RULE) in person (details here: http://www.theroyal.to/films/kid-power-cosmic-christmas/), we are making the mix available to the public for the first time! This is a really great listen and I loved it that you left the old British ITV idents in - thank you for uploading! BTW where does the &apos;I wanna run an errand&apos; chocolate ice cream thing come from? Is it Sesame Street? What a Great mix! Such great memories!! !